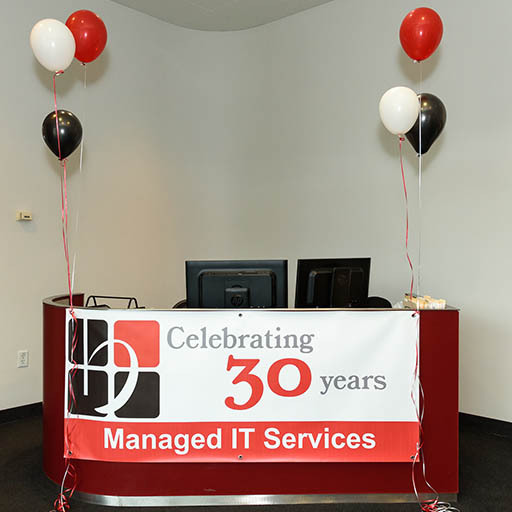 Bryley Celebrates 1 Year at 200 Union Street in Clinton! 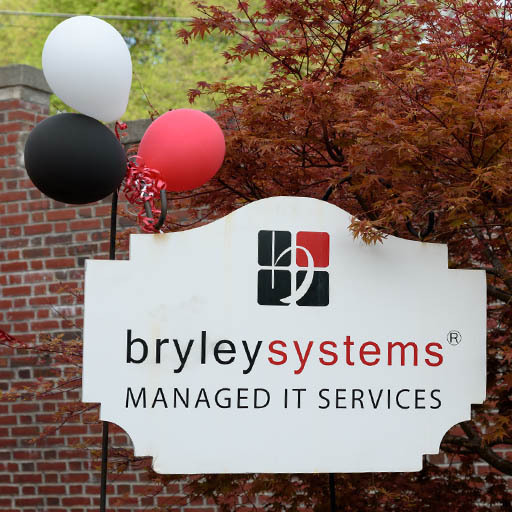 - Bryley Systems Inc.
You are here: Home / Announcement / Bryley Celebrates 1 Year at 200 Union Street in Clinton! 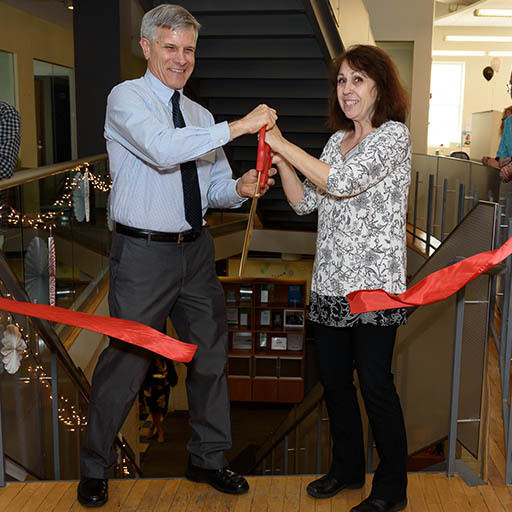 Just one year ago, Bryley Systems relocated to our ultra-modern office space at 200 Union Street in Clinton. Walking or driving by, one might mistake it for a US Post Office, well it was! It was built in 1937 as the Clinton Post Office and was completely remodeled in 2005 when the building was sold and the post office relocated to the other end of town. This 10,500 square foot building has a wonderful mix of old and new. 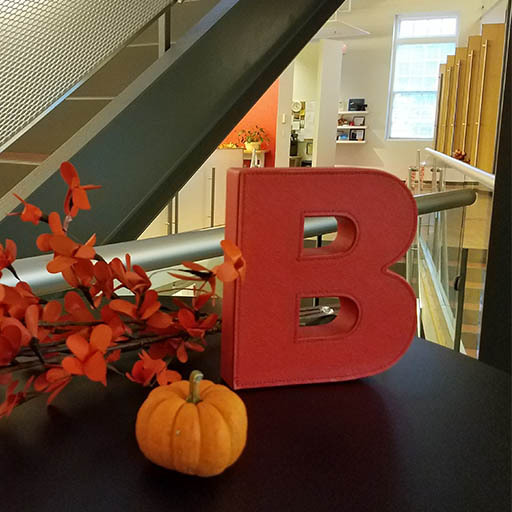 With lots of windows and natural light, our office is bright and cheery. 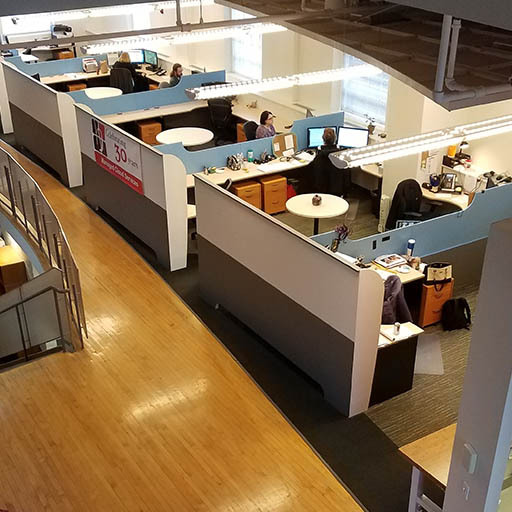 We have an open floor plan to allow for consistent collaboration among team members. It has been wonderful for our engineers to have a spacious shop and lab to work in. 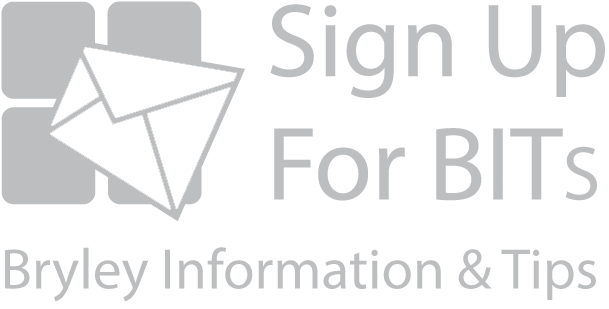 Our multiple conference rooms are set up with the technology needed for productive and simultaneous department/client meetings. Our spacious kitchen is a nice gathering spot for a lunch break or a celebration. With a downtown location next to Central Park, employees can enjoy a walk or simply relax on a park bench. We are around the corner from the library, sandwich/coffee shops, the town hall, and restaurants. The Russian Icon Museum is just across the street. Also, there is ample free parking for our employees and clients. Catherine Livingstone (co-owner of Bryley Systems) is an active member of the Downtown Steering Committee and there are many upgrades and improvements slated for the this area that will add charm and improve the infrastructure for future growth. Yes, team Bryley is happy in our new home, and proud to be part of the local community! When To Replace a Server What’s New with Office 2019?